Knopf Books for Young Readers, 9780385753067, 416pp. John Sandford and Michele Cook debut a high-octane thriller series about a ruthless corporation, unspeakable experiments, and a fight to expose the truth. Perfect for fans of James Dashner's The Maze Runner. JOHN SANDFORD is the author of thirty-six published novels, all of which have appeared on the New York Times Bestseller lists. 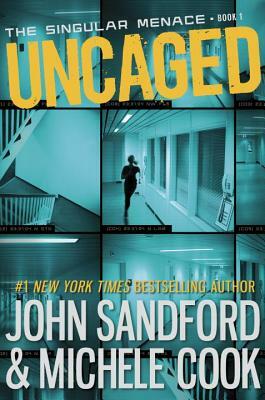 Uncaged is his YA debut. MICHELE COOK is a journalist and crime reporter making her fiction debut with this series.